As well as the vast range of internal bespoke doors Trunk offers, we also make made to measure external doors. Our collection of external door capabilities include, external bi-fold doors, french doors, patio doors. 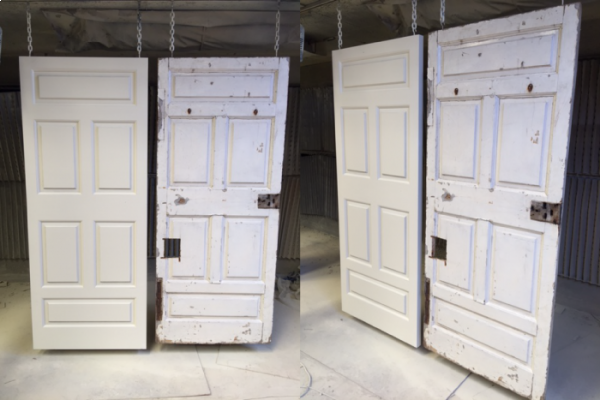 Additionally at Trunk we offer a door match service, have an old door style you like? Want to replace your old external door with the same design but with a fresh new door? We have the ability to match your old door and work with you to we build you the perfect door. This picture is a project we recently completed for a customer in South London, they loved the style of their old door, but due to years of wear and tear it was is need of replacing.